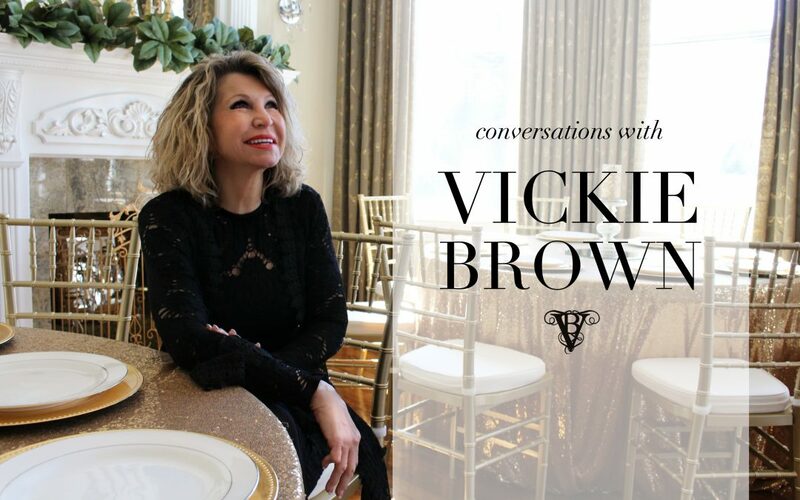 Victoria Belle Blog recently interviewed the founder and owner of the venue, Vickie Brown. She’ll share some of her favorite parts of a wedding, and offer some tips that really put the wedding day into perspective. Let’s get started with a few shotgun questions about your wedding preferences! Buffet style or wait-staff reception dinner? 5 bridesmaids or 10 bridesmaids? Ceremony in the front of the mansion or under the apple tree at the Cedars? Vickie: I prefer in front of the mansion. Vintage getaway car or horse and carriage? Honeymoon at the beach or mountains? Love all your answers. Of course, we know that these are just some of the questions that you ask your brides! 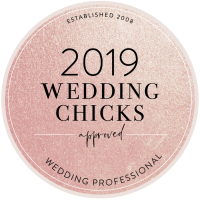 But starting from the beginning of the wedding planning process, what’s usually the very first question you’ll ask a bride after they’ve booked here? Vickie: What’s your budget? [That’s] always most important, that just tells me what I can do for that bride and groom, and [tells me] what type of wedding they may be looking for. Do you think that brides often take too much onto their plate when it comes to planning? Vickie: Oh most definitely, yes. Lots of pressure comes along with being a bride. Everybody’s got an opinion, you know they always want to make everybody else happy and forget the one thing that’s most important- that is making themselves happy. How do you destress brides if they start to feel overwhelmed? Vickie: Just reassuring them that we have it under control. They’ve booked here with us and we manage and help them with every detail. What’s one thing that you see couples tend to overlook? Vickie: What the day is really all about. That is each other, and their marriage, and the life they’re going to live together. All the details.. really, it’s a wonderful thing but in the end, that’s the most important. I know I can’t ask you to name only one. 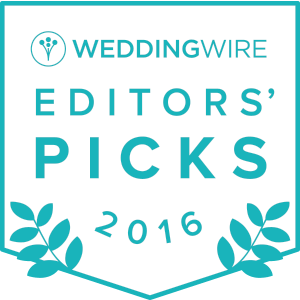 But, what’s one of your favorite thing about helping brides plan their weddings? Vickie: Seeing all the elements come together. When the “day of” is finally here- what’s going through your mind? Vickie: Oh my goodness. Have we done everything possible to make sure that bride and groom are completely happy with our service? 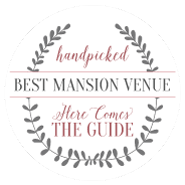 Is there anything else you’d want an engaged couple to know if they’re considering Victoria Belle as their wedding venue? Vickie: No. Haha! Oh my goodness.. We just really, really work hard at taking care of them. We want them to love us when they drive out the driveway! If you’d like to meet Vickie in person, call us today at (706) 637 – 4933, or email us here. We would love to schedule your tour of the Estate and complimentary consultation. Real Belle Couple: Kendall & Brian Boho Chic Styled Shoot Raise Your Glass – Tips for the Toast FREE Printable’s for your Reception How to Have a Kid-Friendly Wedding Princess Suite: The Bridal Room of your Dreams 10 Something Blue’s for the Modern Bride Pets in the Processional – Yay or Nay?